This is a koji starter seed made by a 300 years long-established store "Hishiroku." This is the best-suited koji starter for making koji, and ideal for making koji at home. This koji starter is from Chouhaku-kin variety, and its features are it has long hyphae and low rate of browning reaction. Because this variety of koji starter is hard to discolor/change in color and will maintain its white color strongly, it's best for making koji rice, amazake (sweet sake), white miso, and other white-colored foods and drinks. In this sachet, there is 100g of Powdered Chouhaku-kin koji starter that can be used for 100kg of rice. It's very economical. This product contains 100g of koji starter (Aspergillus) that can be stored for a long time, in conveniently sachet package so you can open it just as much as you need. This is a very suitable koji starter/koji seed for those who want to make koji at home. 100g of this koji starter can be used for 100kg of rice in koji-making (the weight of rice before adding water is 100 kg). What is Koji Starter/Koji Seed? Koji starter or koji seed is the Aspergillus spore that becomes the source of koji. Fermented foods such as miso and amazake (sweet sake) are made from raw koji. And if there is no koji starter, you cannot make koji. In the brewing industry, we call the koji starter as "sprouts." The appearance of the koji starter's bud popped out and its whitish hyphae grows resembles the bean sprouts and budding trees figure, so it's called like that. Features The finished result is white koji. Basic koji starter that suitable for any kojis. Ideal for amazake (sweet sake). The finished result is the most white-colored that other koji starter. Recommended for white miso. Ideal for rice and barley/wheat miso. The finised result will have a balanced taste. Ideal for bean koji. Increase the flavor of bean miso (mame miso). 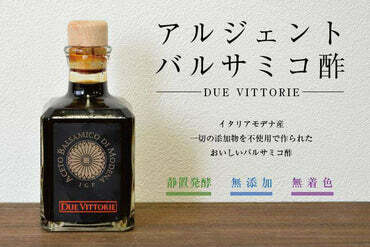 Ideal for shouyu (Japanese soy sauce). It will have delicious result. will receive an easy-to-understand email of how to make koji rice using koji starter and rice. Give water to raw grains (rice, barley, beans, etc. ), sprinkle seeds on steamed grains, and culture the seeds under temperature conditions suitable for the growth of Aspergillus oryzae. That is how this koji starter is made. Koji has so many kinds of enzymes that it is said to be a treasure house of enzymes, and it decomposes grains with its power. Also, koji itself is also a nutritious food filled with sugar, amino acids, vitamins, minerals, etc. All these nutritions are made by the koji starter (Aspergillus oryzae). > Using koji, you can make traditional fermented foods such as sake, authentic shochu, mirin, miso, soy sauce, vinegar, amazake (sweet sake), etc. When the intestinal environment (intestinal flora) gets better, the condition of your skin will be better and immunity will be improved. It is fermented food that arrange this intestinal environment. And, fermented foods are always made by microorganisms that induce fermentation. The familiar ones are such as Aspergillus oryzae, Bacillus natto, Lactobacillus, and other bacteria/fungus. Among them, the one that creates miso, shouyu (Japanese soy sauce) and sake is koji starter (Aspergillus oryzae). ■ Essential amino acids : Among the 20 types of amino acids making up proteins, nine kinds of them can not be synthesized in the body. If there are any lacks of them, muscle, blood, bone cannot be made. These nutrients can be consumed in supplements, but when ingested from koji based food, the absorption rate in body is over 90%. This is just a reference to the amount of koji rice and koji starter seed. For the koji starter, it is easier to make koji rice if you use koji starter in bigger amount. Even if you use a lot of koji starter, there will be no problem. This is the portion for miso with salt concentration 12.5% (sweet flavor). How long is the life of koji starter (koji seed)? How long can I keep it? ・ If the package is unopened and stored in a vegetable compartment of a refrigerator etc., the standard for storage period is about 6 months. ・ After the package is opened, please seal it with zip lock etc. and save it in a vegetable room of a refrigerator. With this, you can save the koji starter for about 6 months. How can I store the finished koji rice? ・ If you want to store it for 1-2 days, please put it in cold dark place with temperature lower than 15ºC. ・ If you want to store the koji rice for 2-3 days, please put it in the refrigerator. ・ If you want to store it for more than 3 weeks, please put it in the freezer. In there, the koji starter can be saved until 3 months. Can I drink koji starter as it is? Because it's no a drink, please do not drink it. How much shoud I use the koji starter when making koji rice? If you are not used to koji rice making (of first time try) it's better to use the koji starter more. Even if you use much of it, there will be no problem. If you steam the rice, the steamed rice will be 1.8-2 times heavier than original/raw weight. Then, after the koji rice is completed the weight will be 0.9 times of the weight after steamed. Thus, the finished amount of rice koji will be 1.62 (1.8ｘ0.9)～1.8 (2ｘ0.9) times from the weight of original/raw rice. For example, if the raw rice is 1kg, the finised amount of koji rice is 1.62-1.8 kg. The color of finished rice koji is reddish brown and smells strange, can I use it? There is a high possibility that other bacteria are mixed and proliferating in the process of making it. Please do not use it. After you sterilized all the equipments, please try increasing the amount of koji starter when making koji rice next time (about 3-4 times more) so it's easier to ferment. Also, please be careful about temperature control during fermentation process. I am making miso every year with my friends, and decided to try making it from koji this year. Because it was my first time to make koji, I was nervous, but I made it surprisingly fine. I noticed it later that I was impatient as I put a lof amount of koji starter, but there was no problem in the finished result and it was properly made into koji. I'm impressed. I continued to prepare to make miso while hoping that there will be something special in the flavor of miso too. Koji became available at the supermarket, but since I was worried about what type of rice was being used, I decided to make koji rice with organic rice which I usualyy eat. Everytime I make miso, I ordered raw koji from specialty shops, and I was able to make raw koji with quality as good as the one being sold at the shop. With a hot carpet and a thermometer, I am surprised that it is easier to make rice koji than I thought. From now on, besides miso, I would like to make amazake, shio koji (salt koji) and so on with homemade rice koji. It's very satisfying because I can make koji with cheaper price, but it's very delicious and safe. It takes a while to make it, but I like it because it's much cheaper and produce better quality of koji rice than the ones that being sold in the market. I challenge myself to make my own koji for the first time. I entrust the temperature control to Yogurtia device, and I use Akitakomachi rice for the ingredients. Until the second maintenance, from my amateur eyes there's not much change in the koji and I got excited about how well it can be done. But after 40 hours, the fluffy koji rice was completed! I use the koji immediately for making amazake and shio koji, and the result is delicious with a gentle taste. The instruction recipe which I got along in the package is also very helpful. Next time, I want to make barley miso with barley koji. I live abroad. Because it's a region with just a few of Japanese food, I bought homemade miso for the first time last year because I wanted to make it. This year, I also bought an amount for one year while I was in Japan. There is neither kotatsu nor warming device, and I thought "I wonder if I can really make it...?" but I figured it out! Because I'm an amateur, the important point as not to fail in koji-making are "Be careful of the condition when steaming the rice (the condition of steamed rice)", "use the koji starter a little bit more (the amount of koji starter)", and "it's easier to control the temperature of rice if you make it from 2kg of rice first." Then, from making the koji rice, I can also enjoy making other foods (and drinks) from it too, such as miso, soy sauce (shouyu), salt koji, amazake (sweet sake), mirin, etc. It was really good that there is a place that sells this kind of product (and fortunately I found it!). ■　You know exactly what ingredients are being used. Formerly, in the Japanese family, miso, shouyu, amazake etc. were homemaded with koji. However, the eating habits change with the time, and miso, shouyu, amazake changed from "things to make" to "things to buy." Under such circumstances, there are many people who are uneasy because they don't know what type of rice is used, in foods such as miso and shio koji (salt koji) available at supermarkets etc. If it's handmade, you can make it with pesticide-free rice prepared by yourself so it's safe. ■　Handmade is fun! When Kawashimaya's staffs tried to make handmade koji rice, they're impressed that their hands became so smooth. It's a famous story that because they engage in sake-making, the hands of chief brewer at sake (Japanese liquor) brewery is beautiful. In koji rice's nutrients, there are a lot of components that make the skin beautiful. Then, if you make koji rice by yourself, you will take care of it like your own child. Thus, the miso and amazake you made will become more delicious. ■　It's more economical. When making miso, you will need koji in kilograms. If you buy it, it will be really pricey. For that, if you make your own koji using koji starter (Apergillus oryzae), it will be much more economical because you can even make koji rice from 15kg of rice. If the rice used in koji rice making is cooked with rice cooker or the like, the amount of water (60% or more) becomes too much, and it won't be finished as a good koji rice. In order to make the rice with moderate water content (about 38%), it's necessary to "steam" the rice with proper steam. The professionals in koji-making are making steamed rice with bamboo steamer (seiro). Furthermore, by using steaming cloth made of tetoron, the time loss (temperature drop) caused by the rice sticking on the cloth can be eliminated, so you can do the seeding step (sprinkling the koji starter on steamed rice) smoothly. Strong against high temperature, excellent in steaming. Rice won't stick to the cloth, a very handy steaming cloth. It's also useful for moisture control during the warming of koji. Steamed rice is the key to make koji. Using bamboo steamer/seiro, steam the rice with high heat for about 40 minutes. It's also a useful tool for daily dishes. 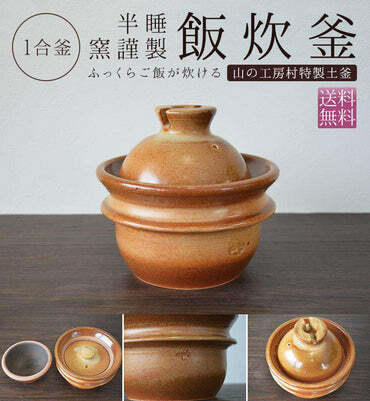 Bamboo steamer is recommended to steam the rice! Also, tetoron steaming cloth is highly recommended! Don't forget to steam the rice with high heat. 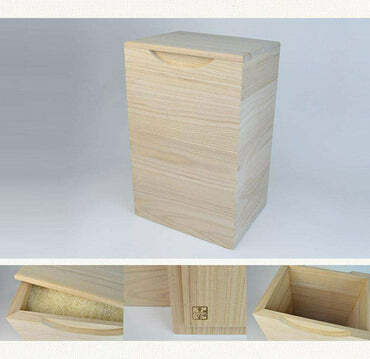 When steam/vapor comes out from the surface of rice and the surfaces become transparent, cover the steamer basket. Steam it for about 40 minutes (recommended) after you put on the lid. When steaming in bamboo steamer that has two or more rows, change the order of rows in midway of steaming process. In the main region of "The Land of Royal Castle" of Kyoto, standing there for over 300 years is the reputable "Hishiroku" Shop. In its long history, we devotedly making steady progress of koji starter (koji seed). We believe that small activities hidden in koji starter's Aspergillus will eventually produce big things and will become life force for tomorrow, so we are making research and efforts to deliver the pure, stable, and high quality products of koji starter. We are looking forward to your further patronage in using Hishiroku's koji starter for making koji. Please put it in cold dark place with temperature lower than 15ºC. ・ Be sure to clean up tools, cloths, hands etc. properly and be careful so that germs etc. don't get in. ・ Please use as soon as possible after you open it. ・ This product is for rice koji and barley koji. Please do not use it for other purposes. ・ Delivery days will be 1-2 days in Japan region and 1-2 weeks outside Japan. Depending on the area, it may take longer. ・ We make it so that the product will arrive as soon as possible, but we can not deliver it on exact date or time of arrival.